In Marine Cadet we learn about the Cull, that cruel ritual imposed on the Human Marine Corps by the White Knights. Everyone must submit to the possibility of being selected for the Cull. It is an absolute rule across the Empire for all subservient species. As the war begins to move from survival to expansion and conquest, the minds of our Legion characters moves forward in time to the peace that will come one day. 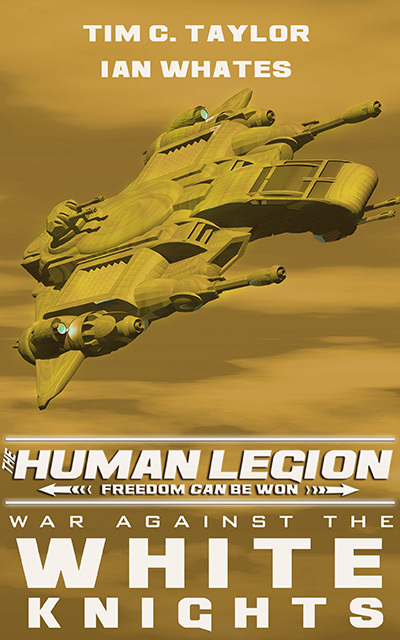 The Legion fights for freedom but what settlement can the Legion actually win? What about the Cull? Would you bring a child into a world where you might have to order its death as part of a barbaric death ritual, and that the alternative would mean the slaughter of billions? The rapid change in circumstances back in Marine Cadet meant that in 2565AD, Class G-2 of the Detroit base went to war without having gone through the Cull. For them the ritual was postponed. You got your ears on, Sleeping Legion fans? DEATH TO THE WHITE KNIGHTS!!! VIVA LA REVOLUTION!!!!! Who am I kidding? It’s payback time!